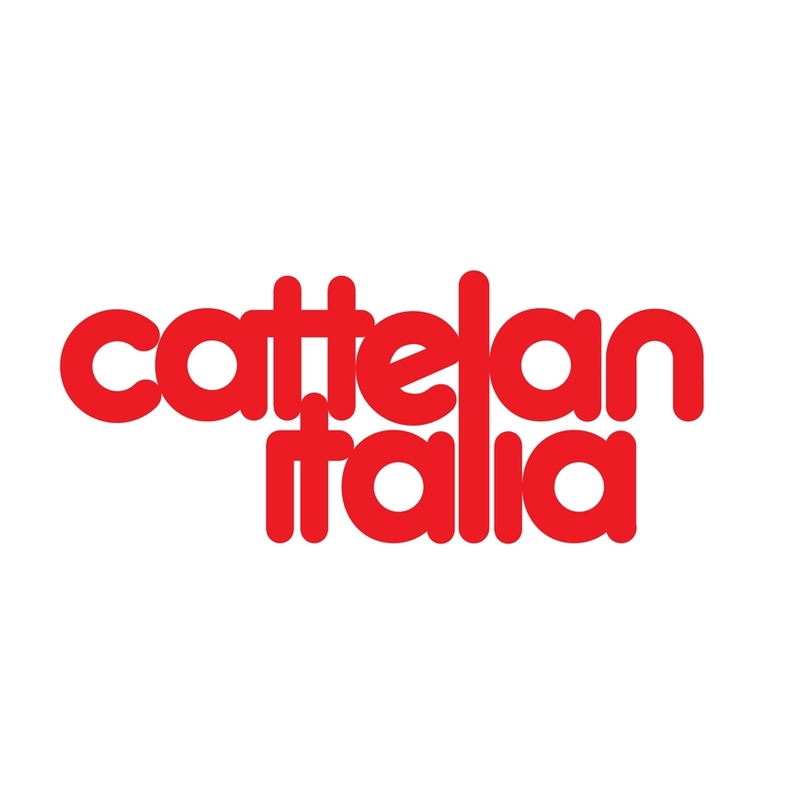 Valentinox by Cattelan is a modern console with an unusual design. 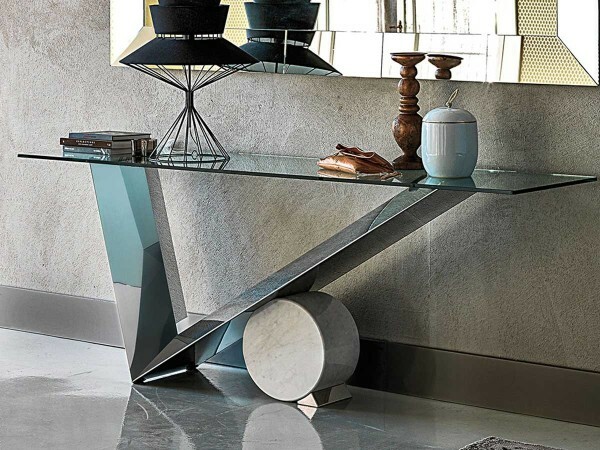 Its particular shape, made in steel and marble, makes this console a unique element of furniture. Contact us today for a private quotation. 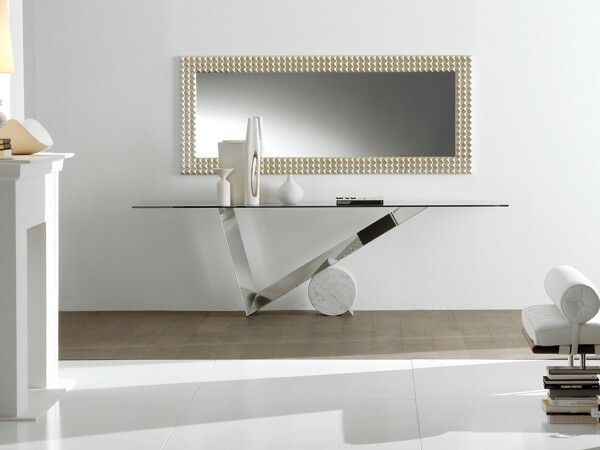 Valentinox Console is the perfect solution to create a little design corner. 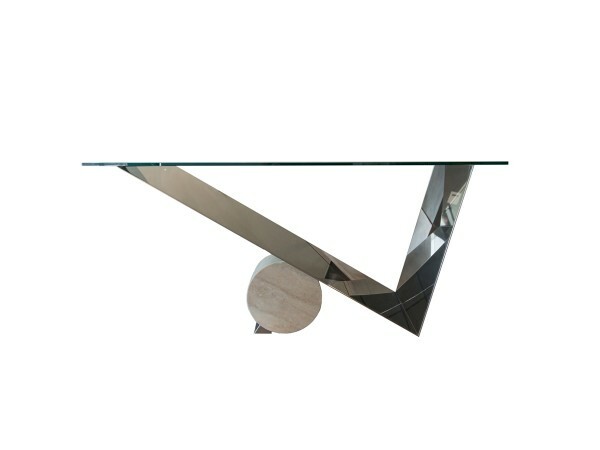 The steel base and the marble cylinder match perfectly with the clear glass top. Available in different sizes and finishes. 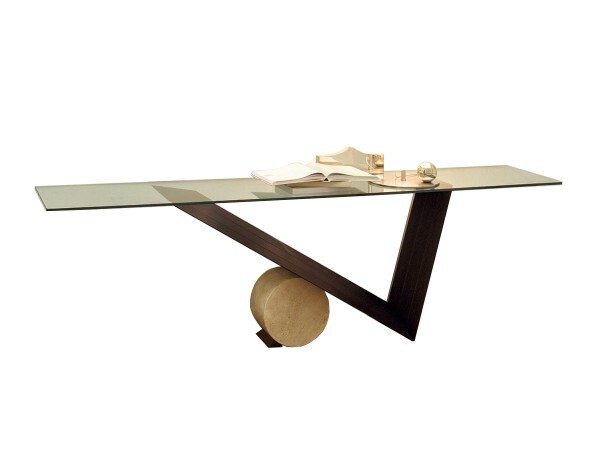 It is possbile to have it also with a smoked glass top. Contact us for more information.